Fighting for equality is never an easy thing. To challenge discriminatory policies or change people’s pre-conceived ideas is perhaps one of the most difficult things to do. While fighting for your rights is not an easy path however, fighting for the rights of others is even harder still. But when we can stand side-by-side with folks in their struggle, then and only then can we say that we have truly arrived. 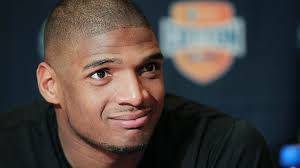 This weekend, Michael Sam, the all-American defensive lineman from the University of Missouri, revealed that he is gay. As a top potential draft pick, he could very well be the NFL’s first openly gay player. Whether we ourselves are gay or straight, we should applaud this young man for his courage, and in turn affirm who we are no matter what the reaction may be, just as he so bravely has done. When I was growing up, it was difficult to even mention the word gay around friends or family, let alone strangers. That’s why I simply cannot imagine what life was like for my sister, a lesbian. I painfully watched both the racism and homophobia that she personally had to deal with. In fact, it was her battles and her very real agony that directly led me to face my own homophobia. I realized that you cannot fight for a cause you believe in if others are being denied their rights as well. Despite my own religious views, I began to understand that you don’t have to belong to a group in order to see how they are being oppressed. And at the end of the day, we are only as free and equal as how we treat those that are different from us, and when we all are accepted by the masses. What Michael Sam did took tremendous strength and valor. Not only did he proclaim his truth to the world, but he did so knowing that he could very well lose a lot in the process. In addition to putting a potential position within the NFL on the line, he risks losing endorsements and deals. In the ultra macho culture of football, Michael has made himself a target for homophobes and xenophobes. That is why it’s incumbent upon all of us to stand with him. Instead of attacking him, we must applaud him for his bravery. He has chosen to serve as a positive role model for young gay and lesbian children everywhere who find it extremely difficult at times to feel accepted. Often bullied and ridiculed, they need to know that it’s perfectly ok for them to be proud of who they are and that they too can achieve great things. 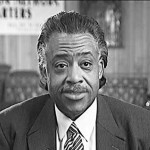 As a black minister who has been vocal about his support for the LGBT community for the past few years, I have been attacked by other ministers and preachers. But it is absolutely critical that we affirm people for who they are. We cannot castigate or ridicule individuals for living their lives and remaining honest to themselves. We should instead support them and learn from their struggles. Michael Sam is an inspiration to everyone who believes in justice across all lines — all lines. Sometimes, it’s easy to remain below the radar and not rock the boat. It’s more comfortable to stay within acceptable norms and live your life, rather than draw attention to yourself. But it is only when those who have been rejected or dismissed by society fight for their equality and the equality of others that we see real change. It is never the carefree route, nor the simple route. Maybe that’s why only a few select people have the distinct qualities to travel down that difficult road. Michael Sam has proven to be one of those unique individuals. His actions should give us all strength to live our truths no matter what the consequences may be. No justice until we are all free. Michael Sam is on the verge of becoming the first openly gay player in the NFL.